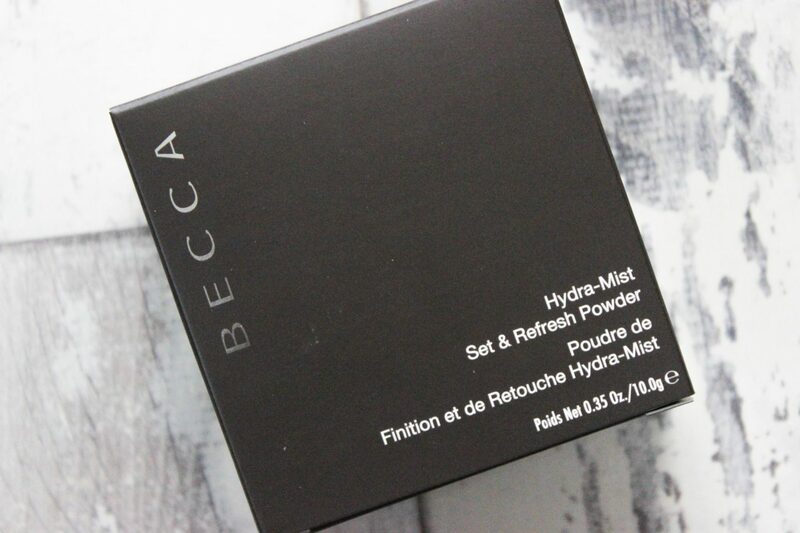 I’ve been in the beauty world long enough to know of all the gimmick products, most of them are for an IG audience instead of a beauty audience so I tend to avoid them but when I heard about BECCA’s new Hydra-Mist Set & Refresh Powder | £32.00* I had to test it out. 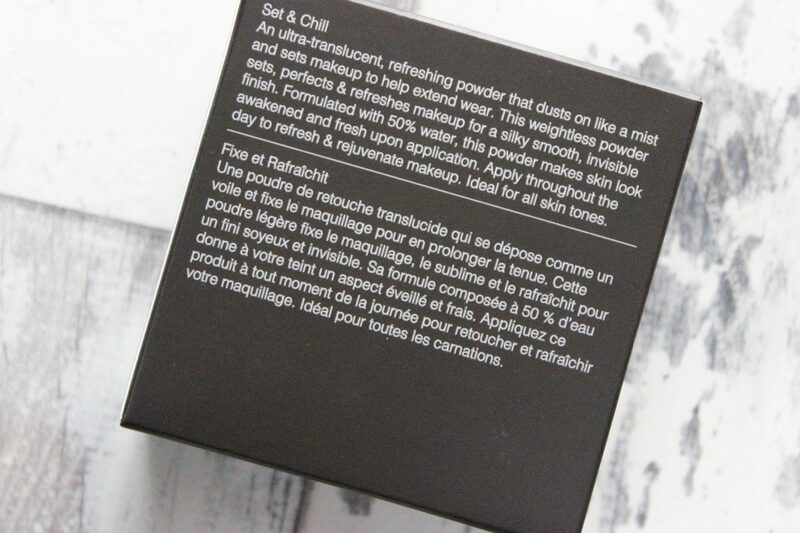 Set & Refresh is described as a “ultra translucent” powder which helps to not only set but refresh your makeup. The powder itself is made from 50% water to help refresh your skin and this powder is being billed as suitable for ALL SKIN TONES, now, let me start of by saying, I’m never sold by the “suitable for all skin tones” line as a lot of brands claim this but fall very short, so I have to admit I wasn’t fully sold on that part. 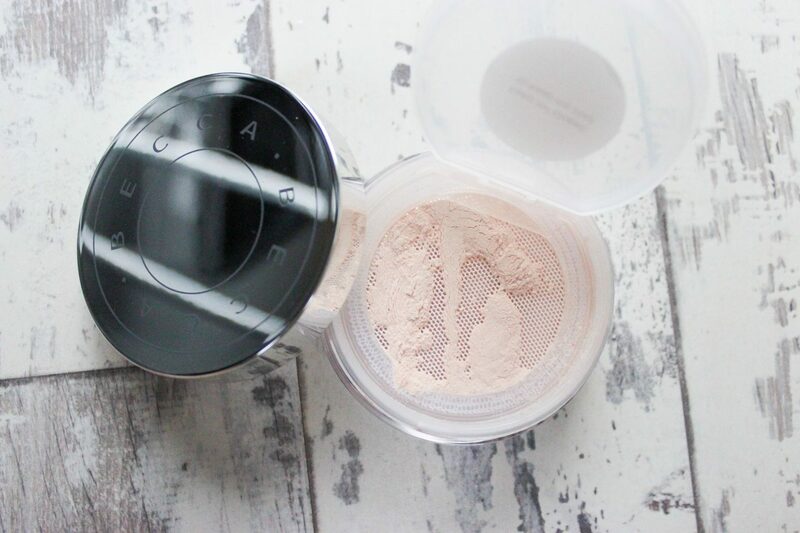 The powder itself comes in the same tub as most translucent powders but Set & Refresh has a little lid that has a sticker urging you to keep the lid on to stop the powder from drying out. Under the lid is a soft (almost pliable) mesh layer that I assume helps to keep the powder finely milled at all times and acts a dispenser, although, I still did find this part a little messy but not more so than my other loose powders. 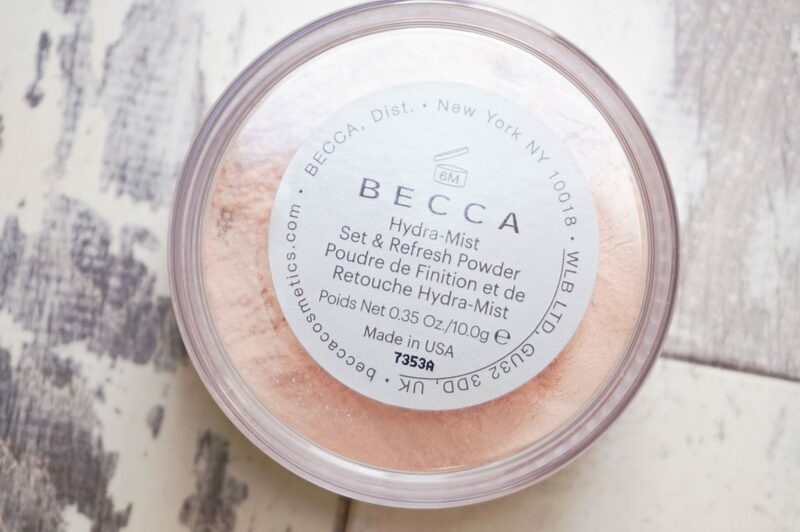 One thing I was happy to see was the colour of the powder, this made me aware that BECCA had actually thought this through, Set & Refresh is a warm light pink, definitely not stark white like other translucent powders in my collection. The slight warm tint in this powder means that it wont leave a ghostly cast when applied, I also assume it means less chance of flashback although I haven’t tested for this. I first decided to use this powder after my makeup became oily quite quickly due to the hot weather, my t-zone was shining bright so I thought what better time to use Set & Refresh. I picked up a bit of powder and applied this to my forehead and I FREAKED OUT! THIS POWDER FEELS LIKE WATER!!!!!! How? I do not know but it feels exactly like water, I even checked my brush to see if it looked wet because it felt wet but it was completely dry. It is such an odd feeling but you quickly get used to it, after all, that’s what it is meant to feel like. The “mist” sensation lasts for a few seconds depending on how much powder you use, the more powder you use, the more “mist” you get. It it’s so baffling, it literally feels like your skin and eyes are betraying you! Did it feel refreshing? Yes, it did and my shine disappeared instantly without leaving a cast. I also used this on my mum’s face, she is around two shades deeper than me and it blended into nothing. I didn’t use this to bake and I believe this is not what this powder is for. I wouldn’t recommend using this to bake, but then again I’m not really a fan of baking anymore. This powder ultimately does what it says on the tin. It helps to set creams and liquid makeup, helps to take away shine from oily skin AND leaves you feeling refreshed especially if it’s a hot day. I think this is a great product and certainly good for those of us who suffer from oily skin. My only qualm is that I feel this would have been 100% perfect if it was a pressed powder. 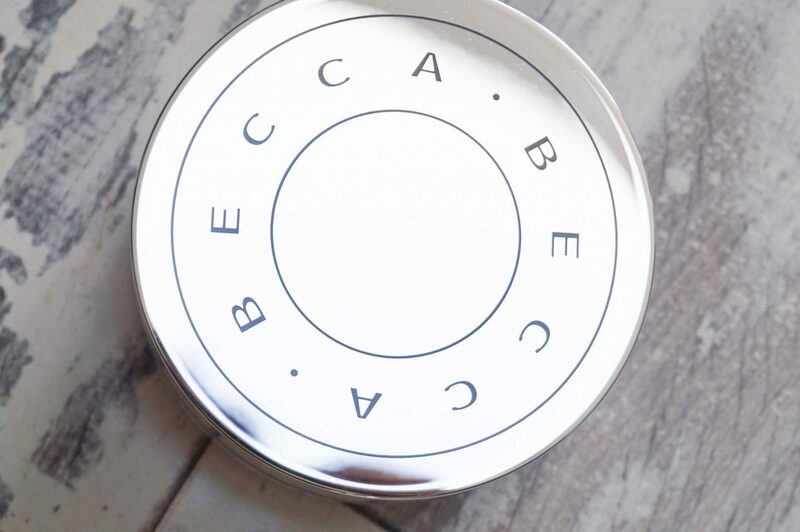 Whilst I don’t mind carrying a little tub around with me to help me refresh my makeup throughout the day, others may find this a bit of a chore, however since this is such a unique product I can understand if this only works as a loose powder. I have to say I actually really like this powder, it’s fun, different, new but it also serves a purpose. It’s not a must have product but it’s definitely unique!